As one of the few industries that bears the impact from many different forces, whether mother nature, economic fluctuations, evolving consumer preferences or the increasingly rivalry from competitors locally vs globally (including the arrival of new disruptors), those competing in the travel arena should be seriously thinking about what changes need to be made to their business model to cope with the imminent changes happening in all corners of the world. Players in the industry need to become tougher and more resilient and seriously deploy innovation as one of the weapons in their arsenal. provide quick-fix ideas that can help any organisation get the best out of their innovation efforts. Yes we’re in an incredibly challenging time but after reading this paper, you will equally recognise that there are so many exciting opportunities and untapped ‘space’ ready and waiting for those brave enough to think differently, stick their neck out and dive in. 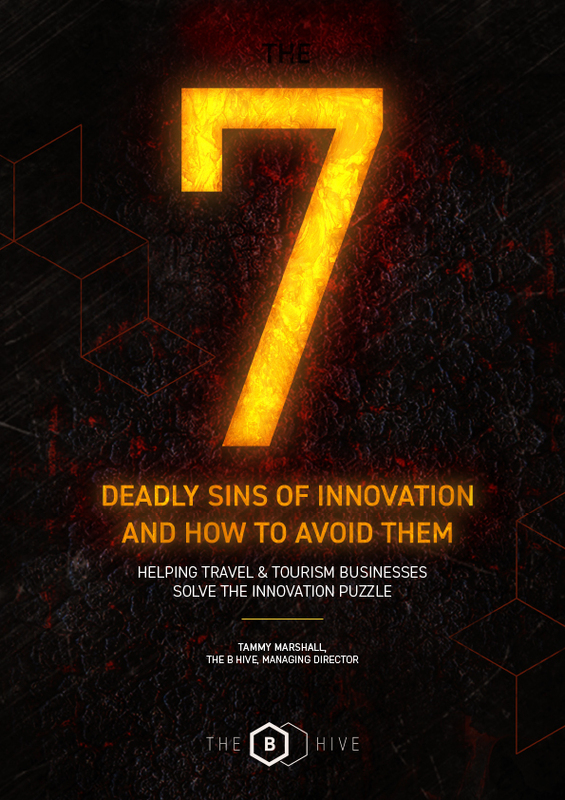 To download your copy of The B Hive’s 7 Deadly Sins of Innovation & How to Avoid Them White Paper, just complete your details below and follow the instructions.